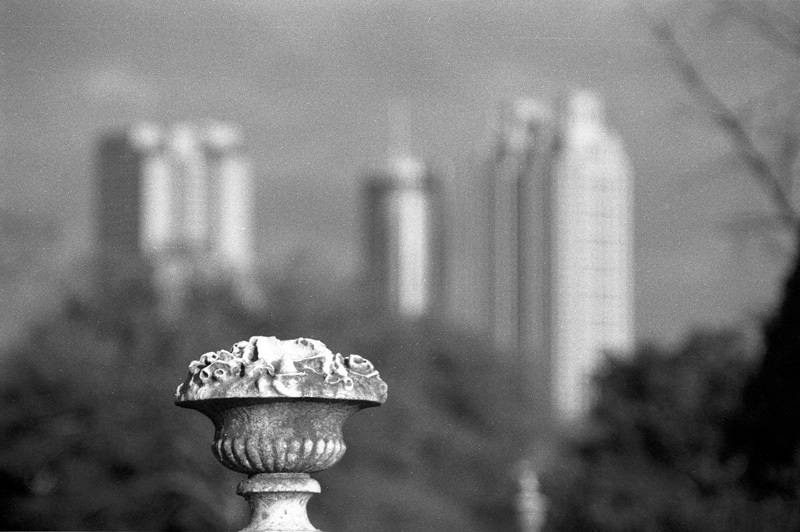 From left to right, the Georgia Pacific headquarters, Westin hotel, and 191 Building are visible in the background behind the monument. Simmons Detail was posted on Monday, October 14th, 2013 at night by Olen Daelhousen, who photographed it using a Fujica AX-5 loaded with Ilford Delta 400. The image is filed under: Buildings, Cemeteries.